If ever I should require a peaceful walk on a Sunday afternoon when the crowds are thronging in Brick Lane and Columbia Rd, then I simply wander over to the City of London where the streets are empty at weekends and the many secret green enclaves of the churches are likely to be at my sole disposal. For centuries the City was densely populated, yet the numberless dead in the ancient churchyards are almost the only residents these days. 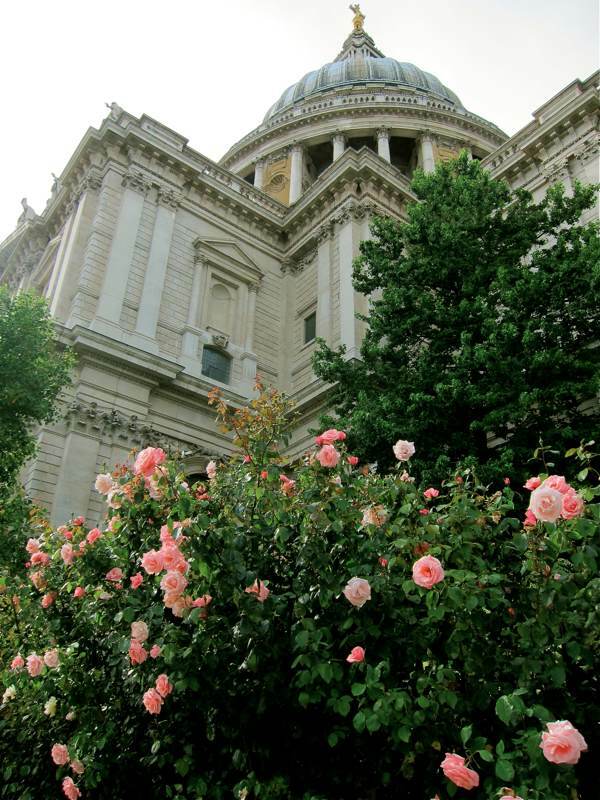 Christopher Wren rebuilt most of the City churches after the Great Fire upon the irregularly shaped medieval churchyards and it proved the ideal challenge to develop his eloquent vocabulary of classical architecture. 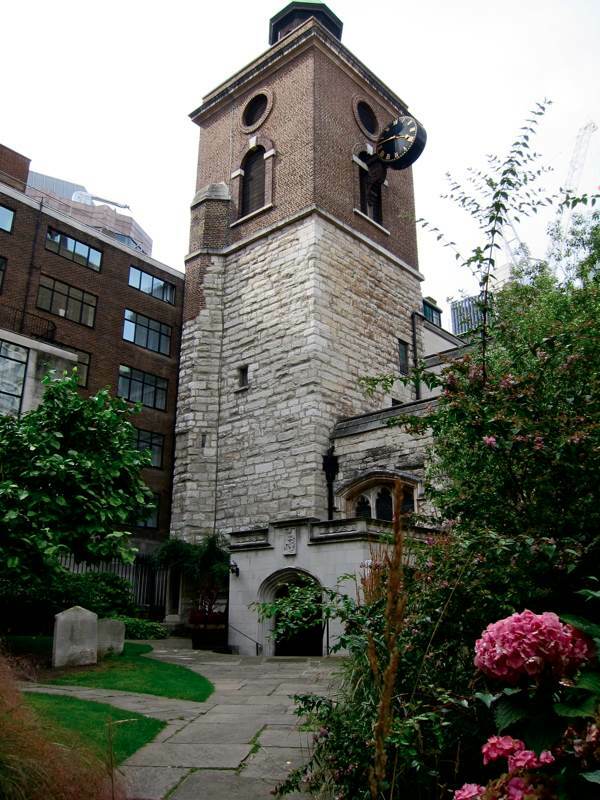 Remarkably, there are a couple of churches still standing which predate the Fire while a lot of Wren’s churches were destroyed in the Blitz, but for all those that are intact, there are many of which only the tower or an elegant ruin survives to grace the churchyard. And there are also yards where nothing remains of the church, save a few lone tombstones attesting to the centuries of human activity in that place. 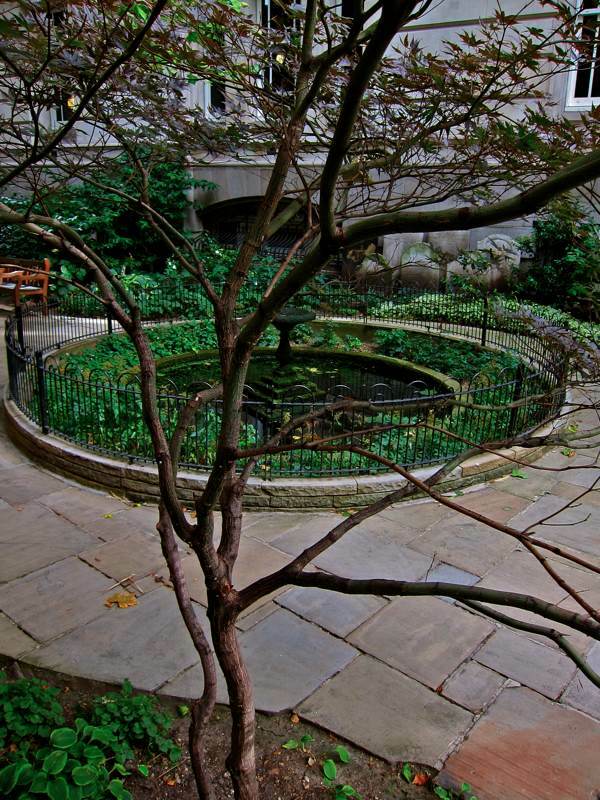 Many of these sites offer charismatic spaces for horticulture, rendered all the more appealing in contrast to the sterile architectural landscape of the modern City that surrounds them. 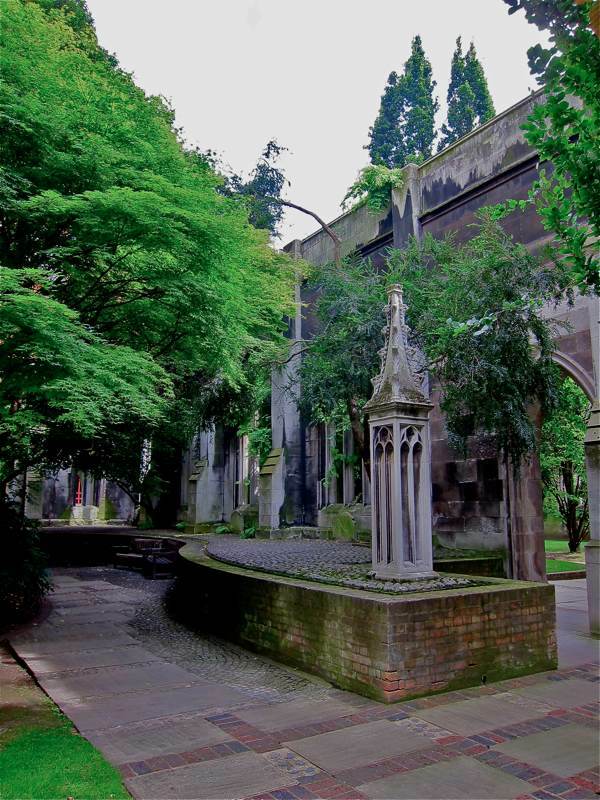 A particular favourite of mine is the churchyard of St Dunstan’s in the East in Idol Lane. 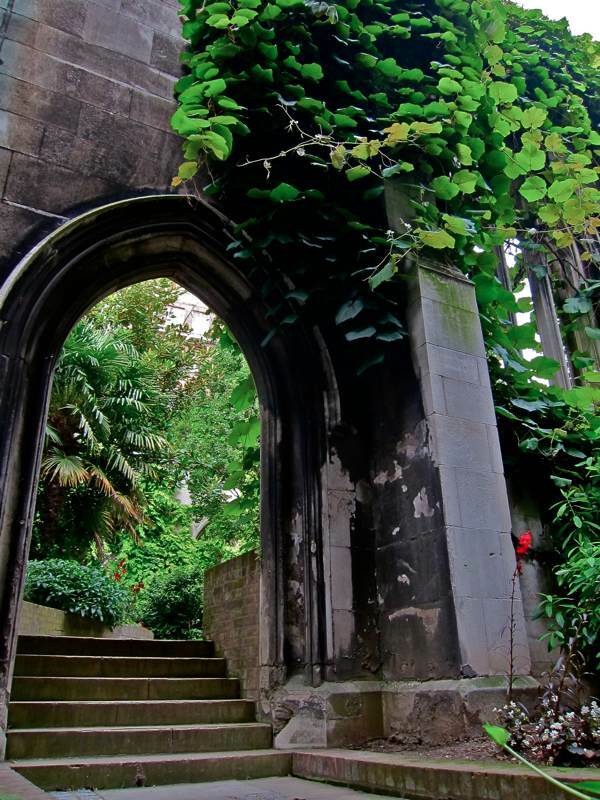 The ruins of a Wren church have been overgrown with wisteria and creepers to create a garden of magnificent romance, where almost no-one goes. You can sit here within the nave surrounded by high walls on all sides, punctuated with soaring Gothic lancet windows hung with leafy vines which filter the sunlight in place of the stained glass that once was there. 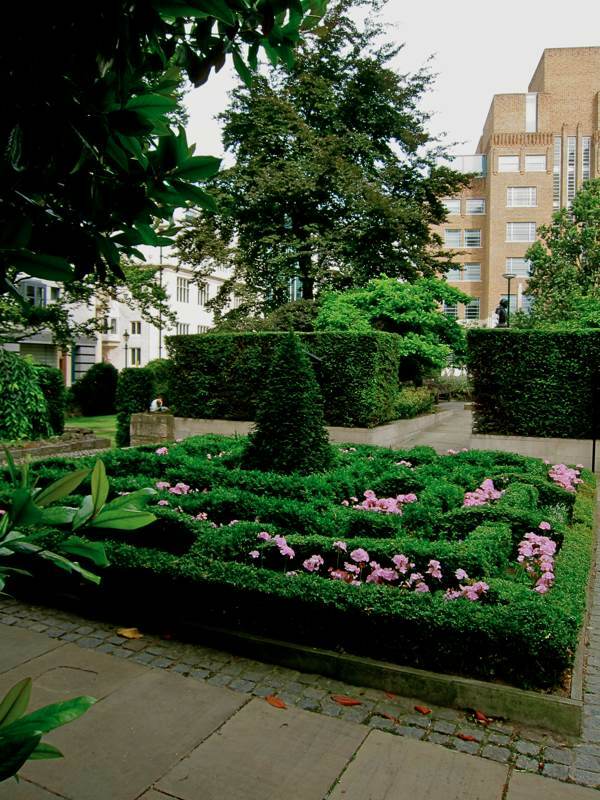 Undertaking a circuit of the City, I always include the churchyard of St Mary Aldermanbury in Love Lane with its intricate knot garden and bust of William Shakespeare, commemorating John Hemminge and Henry Condell who published the First Folio and are buried there. 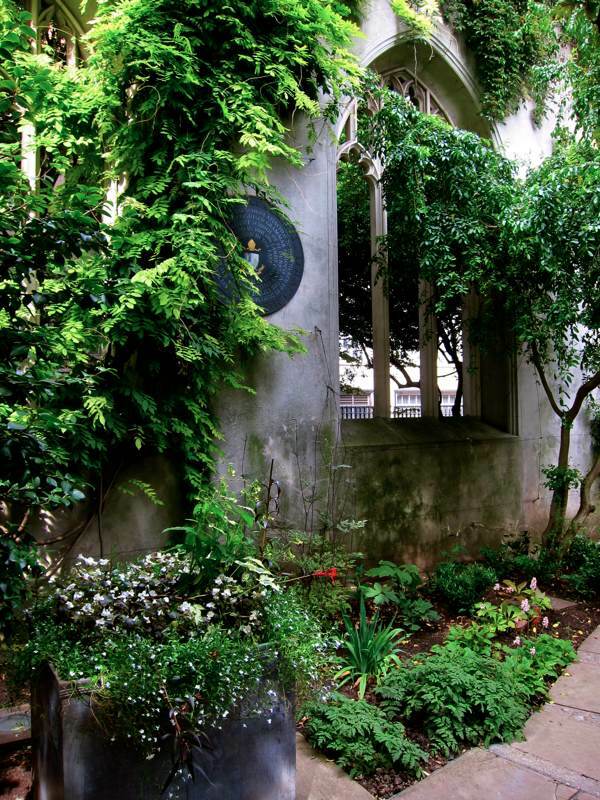 The yard of the bombed Christchurch Greyfriars in Newgate St is another essential port of call for me, to admire the dense border planting that occupies the space where once the congregation sat within the shell of Wren’s finely proportioned architecture. 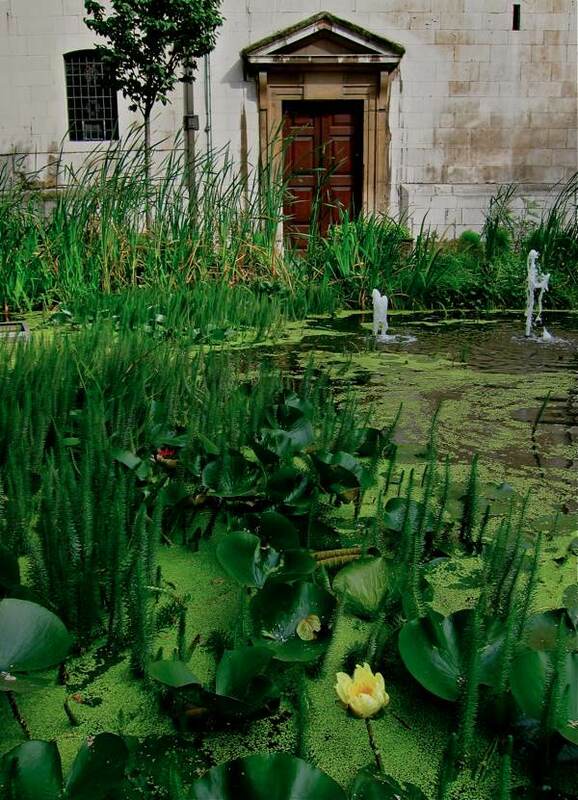 In each case, the introduction of plants to fill the space and countermand the absence in the ruins of these former churches – where the parishioners have gone long ago – has created lush gardens of rich poetry. 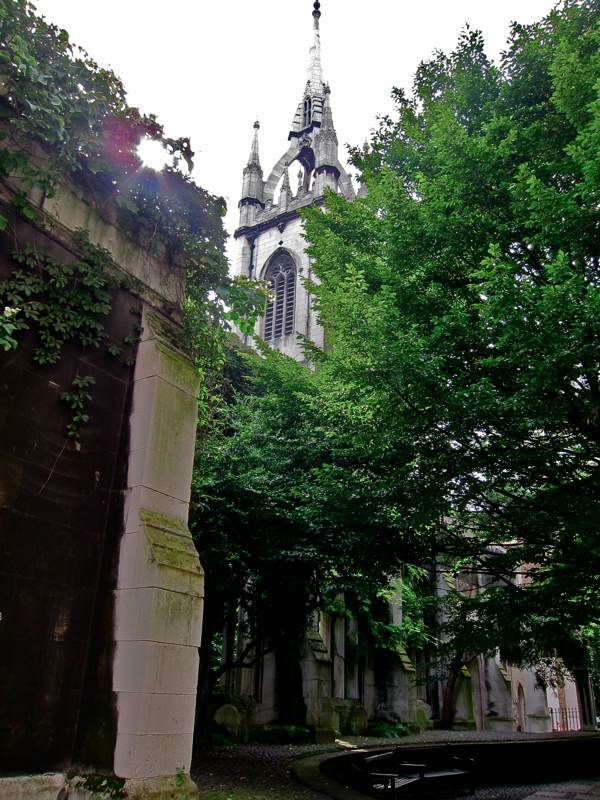 There are so many churchyards in the City of London that there are always new discoveries to be made by the casual visitor, however many times you return. And anyone can enjoy the privilege of solitude in these special places, you only have to have the curiosity and desire to seek them out for yourself. 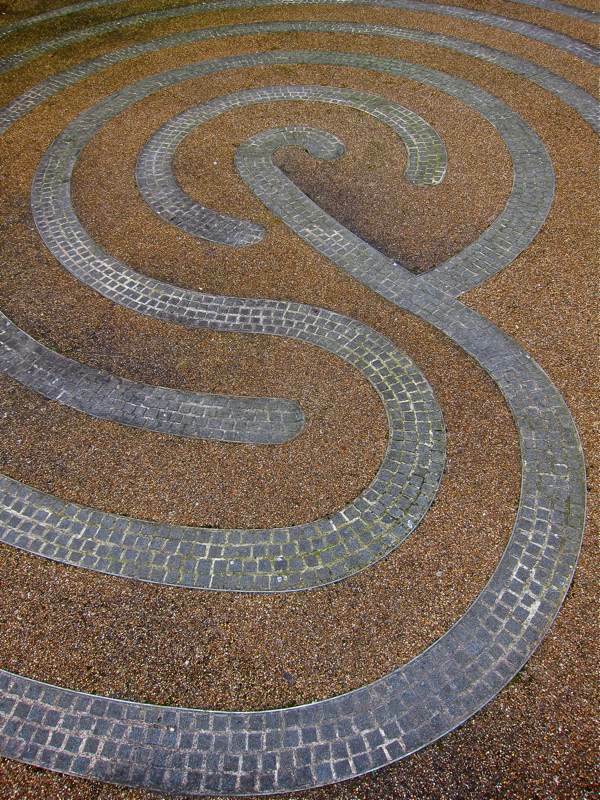 In the yard of St Michael, Cornhill. 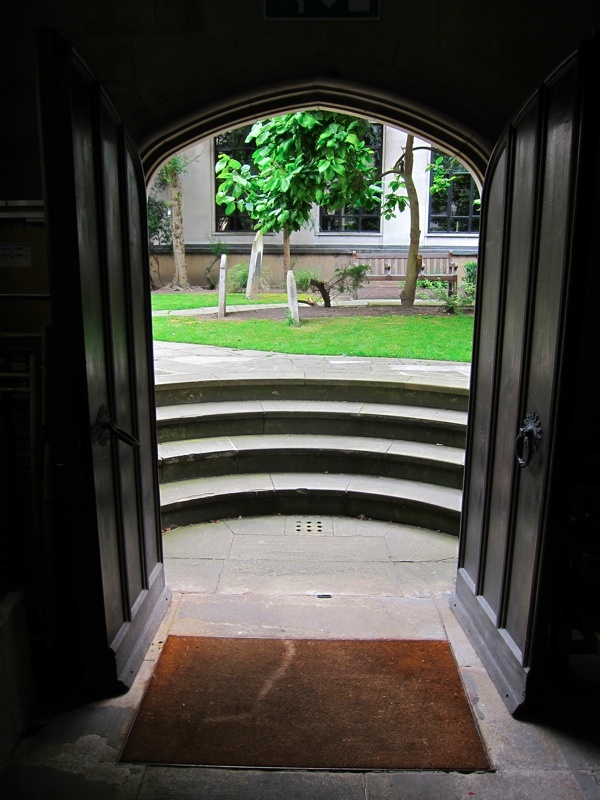 In the yard of St Dunstan’s in the East, Idol Lane. 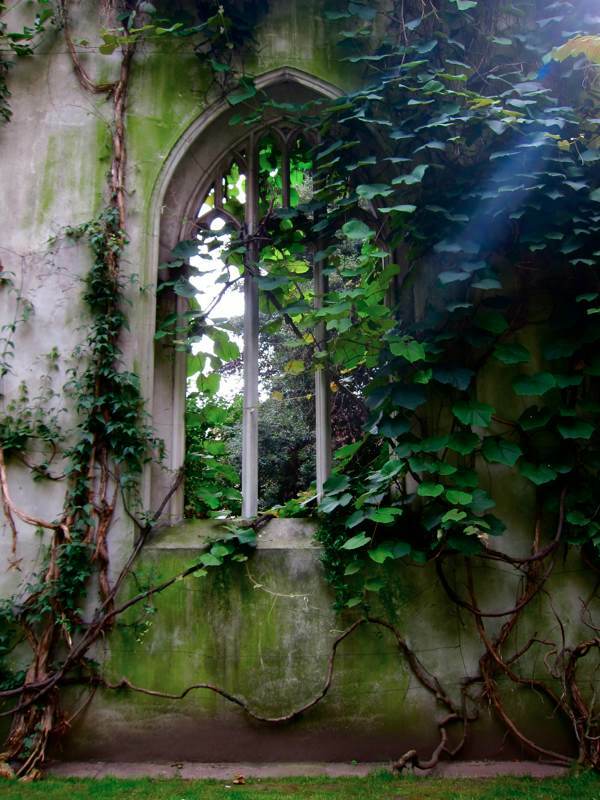 At St Dunstan’s in the East, leafy vines filter the sunlight in place of stained glass. 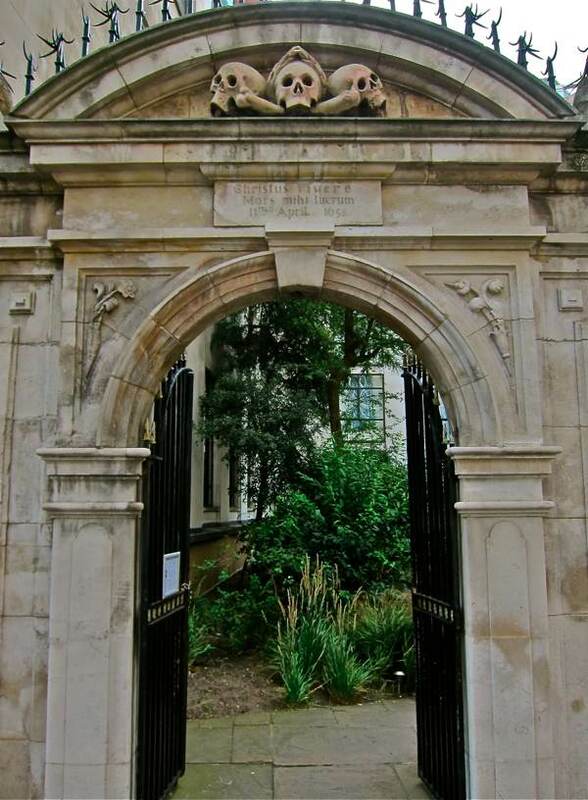 In the yard of St Olave’s, Mincing Lane. 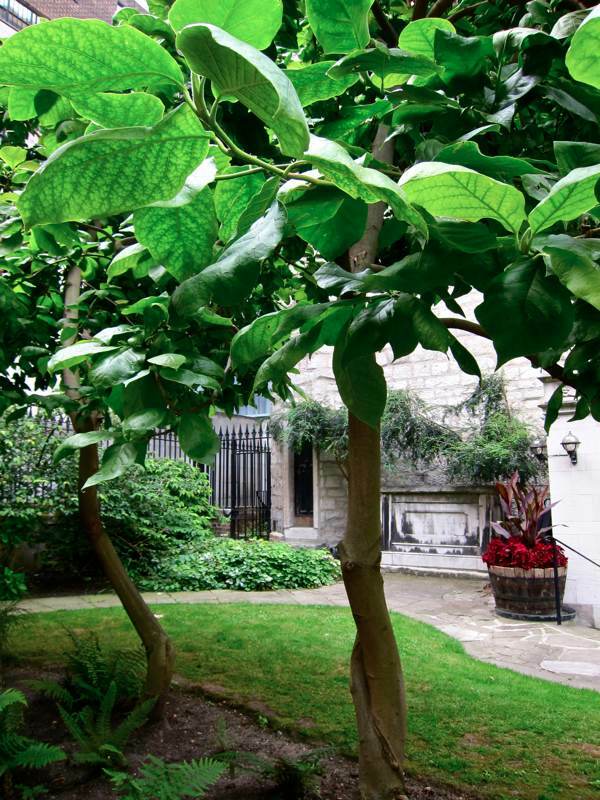 In the yard of St Michael Paternoster Royal, College St. 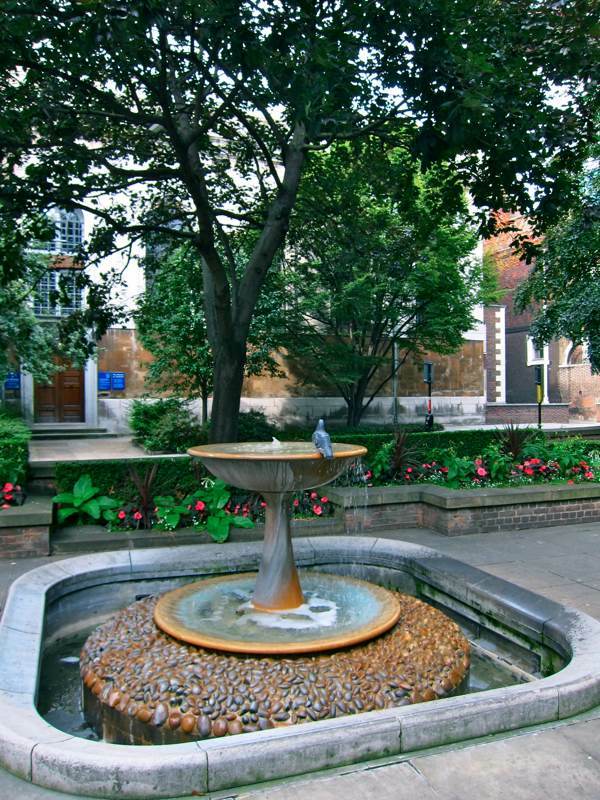 In the yard of St Lawrence Jewry-next-Guildhall, Gresham St. 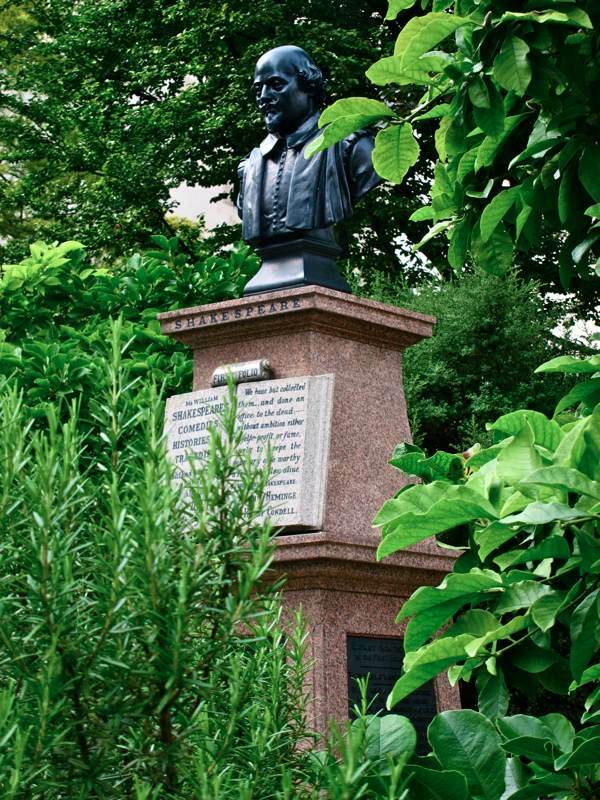 In the yard of St Mary Aldermanbury, Love Lane, this bust of William Shakespeare commemorates John Hemminge and Henry Condell who published the First Folio and are buried here. 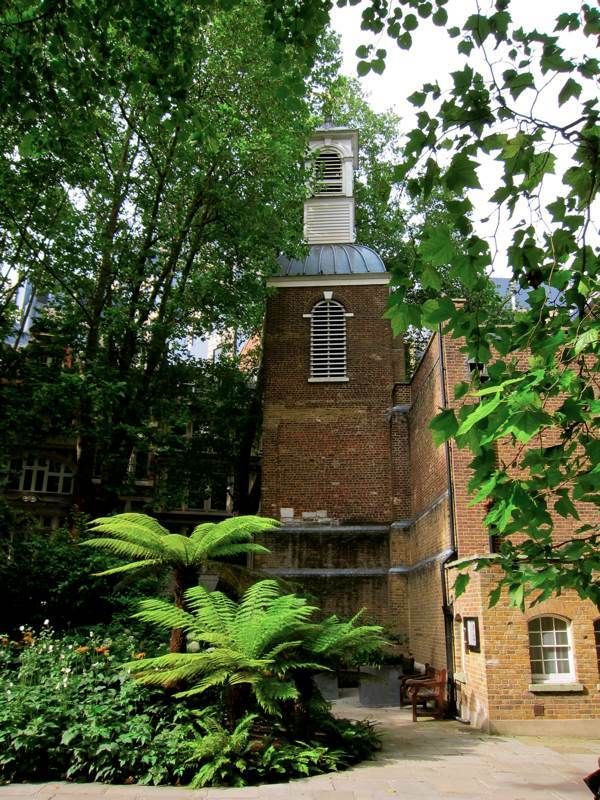 In the yard of London City Presbyterian Church, Aldersgate St. 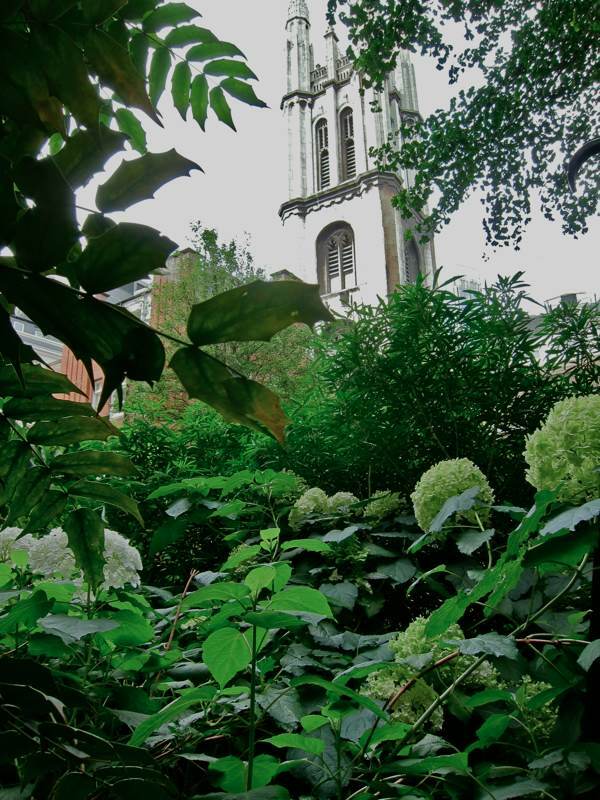 In the yard of Christchurch Greyfriars, Newgate St, the dense border planting occupies the space where once the congregation sat within the shell of Wren’s finely proportioned architecture. In the yard of the Guildhall Church of St Benet, White Lion Hill. How lush, how beautiful, how peaceful. Thank you. Fantastic pics. You’re bringing back so many memories for me. I often used to spend time in the City on the weekends as a refuge from the madness of London. I loved the almost complete peace and quiet compared to anyone else in London any other time of the week. You’ve reminded me how many hidden gems there are in that area. Lovely photos – makes me yearn for some peace and quiet! 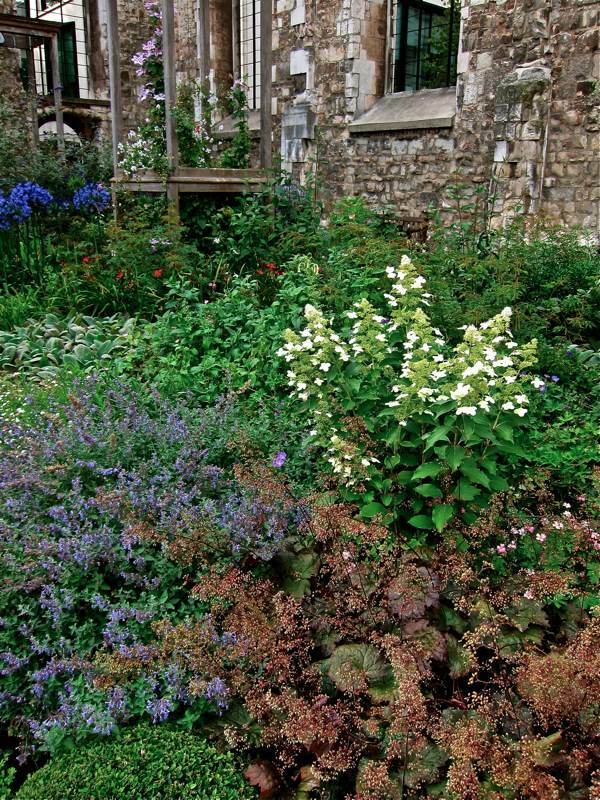 Lovely photographs – very tranquil – want to go there and see the gardens soon. Thank you for reminding me. Lovely! I usually visit London every year and the City Churches are my favourite! I too lonve wandering around The City on Sunday when the streets are empty. 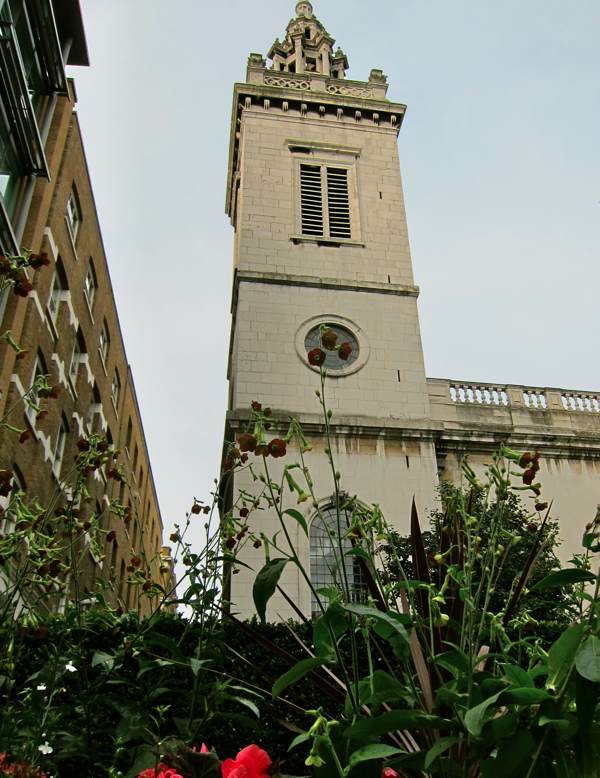 I have visited most city churches but may have missed a couple you mention here – something I will be sure to correct when I come to London this October! Thanks for adding even more anticipation for my upcoming trip! These churchyards look very serene. small oasis’ amongst the roar of city life. 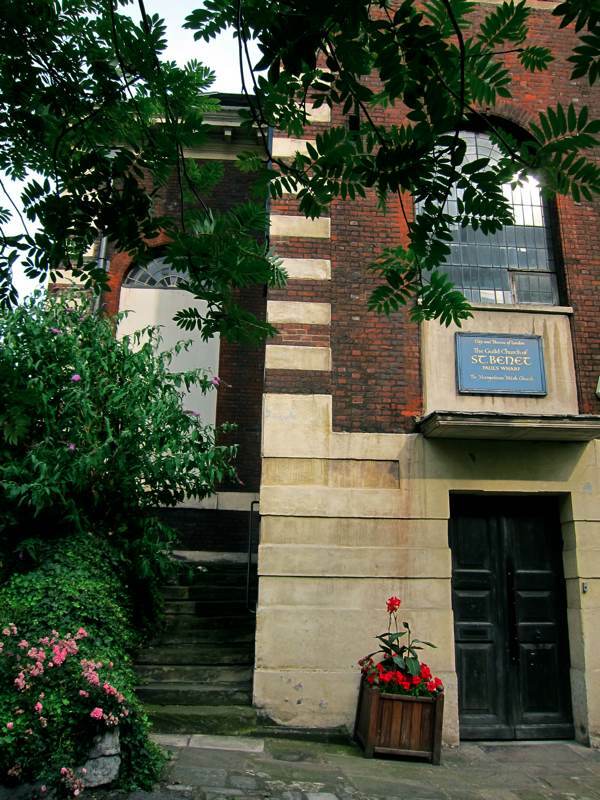 I have to thank Carole Blake for tweeting about this – I loved finding places like this when I was a student in London. You made me feel homesick yet again! Thanks so much for this post. My memories of the city are of the post- war period, the early to mid-’50s, rather than the immediate aftermath. My memories are of a stricken landscape in which buddleia thrived amongst the rubble. The tranquil beauty of these churchyards is something to cherish. Your photographs are absolutely beautiful and I have taken the liberty of referring to your site in my blog in which I am exploring London with Bradshaw’s Hand Book to London. 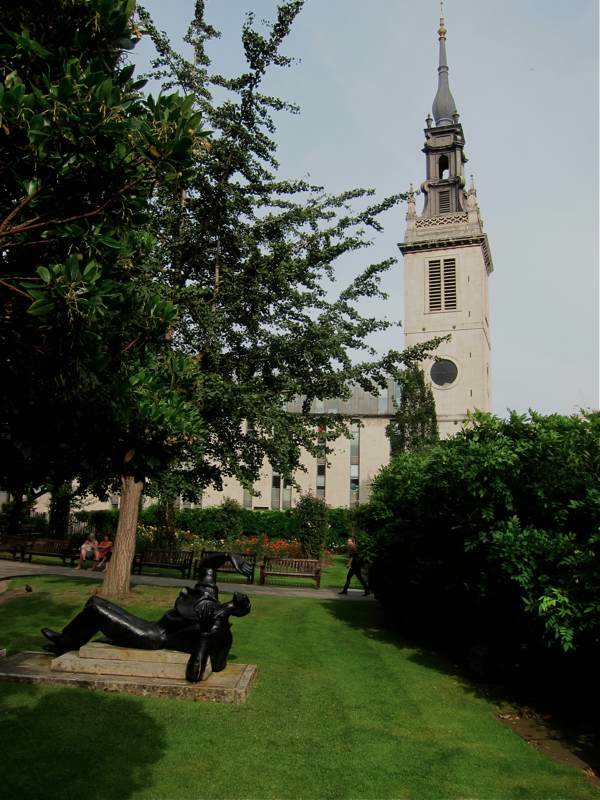 The link is in association with St Dunstan’s in the East, which was beautiful even in the depths of winter.